How far must you run to leave the past behind in order to find love? 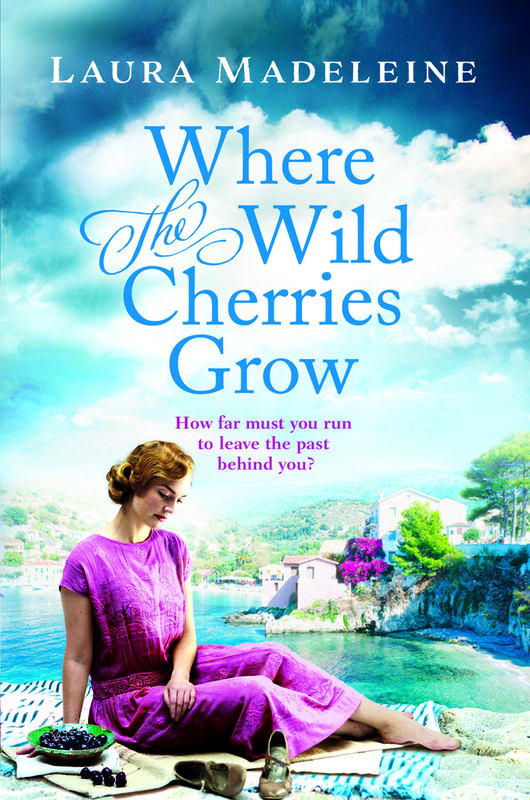 In Where the Wild Cherries Grow by Laura Madeleine, it is 1919, and the end of the war has not brought peace for Emeline Vane. Lost in grief, she is suddenly alone at the heart of a depleted family. And just as everything seems to be slipping beyond her control, in a moment of desperation, she boards a train and runs away. Her journey leads her to a tiny seaside village in the South of France. Taken in by café owner Maman and her twenty-year-old son, Emeline discovers a world completely new to her: of oranges, olives and wild herbs, the raw, rich tastes of the land. But soon secrets from home begin blowing in on the sea waves. Fifty years later, Bill Perch, a young solicitor on his first case, finds Emeline’s diary, and begins to trace an anguished story of betrayal and love that will send him on a journey to discover the truth. What really happened to Emeline all those years ago? After a childhood spent acting professionally and training at a theatre school, LAURA MADELEINE changed her mind and went to study English Literature at Newnham College, Cambridge. She now writes fiction, as well as recipes, and was formerly the resident cake baker for Domestic Sluttery. She lives in Bristol, but can often be found visiting her family in Devon, eating cheese, and getting up to mischief with her sister, fantasy author Lucy Hounsom. She is the author of The Confectioner’s Tale.